This entry was posted in Take action! on 4 April 2018 by ICLMG CSILC. January 29, 2018 marked the one-year anniversary of the attack on the Quebec City mosque that killed 6 men and wounded 19. ICLMG is committed to combatting Islamophobia as it is both a cause and a consequence of the racist foundations and applications of national security. 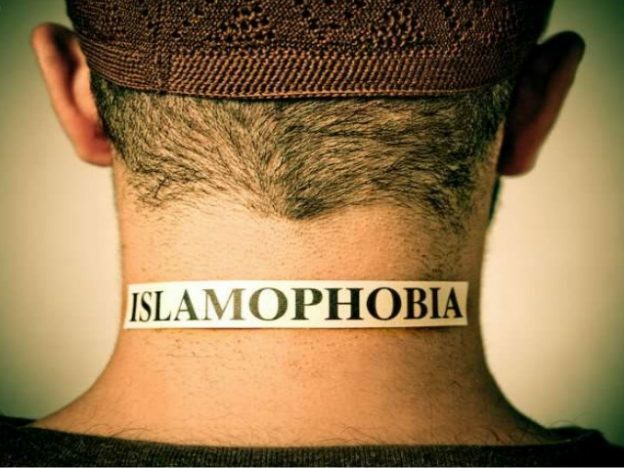 Despite many hateful incidents reported in the media in the last year, and the obviously islamophobic character of the January 29, 2017 massacre, many people seem to think that Islamophobia is not real, and that the word was created recently to stifle free speech and criticism of Islam. We know that this is not the case and that this belief is an attempt to divert attention from the very real islamophobic attacks on Muslims. Others might be aware that Islamophobia is real, alive and kicking but be unsure how to combat it. Here is a (non-exhaustive) list of resources that may help you better understand and/or show others what Islamophobia is, and how to fight it. Feel free to use and share them widely! This entry was posted in News from ICLMG, Resources, Take action! on 23 January 2018 by ICLMG CSILC. It’s been a busy year! 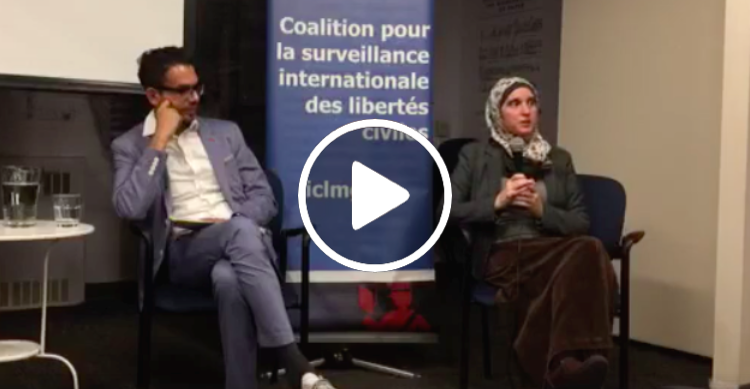 Here is a review of what we’ve been up to in the last 12 months to protect and promote civil liberties in the context of the War on Terror in Canada and beyond. Bill C-59 is the Liberal government’s response to last year’s consultations on national security and to Bill C-51, the Anti-terrorism Act of 2015. After thoroughly analyzing the 150-page bill, we’ve concluded that although it brings a few positive changes, including new review and oversight mechanisms (which still need to be strengthened) Bill C-59 not only does not get rid of C-51, but introduces troubling new mass surveillance capabilities and cyberpowers. In order to protect our human rights, the ICLMG co-wrote an open letter addressed to the Public Safety Minister, hosted a panel and filmed a series of videos to raise awareness about the legislation, and launched a letter-writing campaign to fix Bill C-59. Bill C-59 is being studied in Parliamentary Committee right now and we need to keep the pressure on. Bill C-59 will protect our human rights! The results of the federal government’s national security consultation of 2016 were unequivocally in favour of our positions. The government plans on creating a new overarching review agency for all national security activities – something we have advocated for since 2006. The government has finally settled multiple cases with torture victims: Abdullah Almalki, Ahmad Elmaati, Muayyed Nureddin, and Omar Khadr. The ICLMG, along with other human rights groups, campaigned alongside these survivors for several years. Citizenship equality was restored with the adoption of Bill C-6; the ICLMG was one of the first organizations to speak out when the Conservative government weakened citizenship in 2014. With your continuing support, we can ensure many more victories in 2018! The series covered Bill C-59, the new National Security Act; Islamophobia, both a cause and consequence of national security; criminalization of dissent in Canada and abroad; and Canada’s complicity in torture. We’ve had the great pleasure of hearing amazing panelists such as Micheal Vonn, Paul Champ, Tamir Israel, Monia Mazigh, Yavar Hameed, Freddy Stoneypoint, Jennifer Moore, Sophie Harkat and Khalid Elgazzar. Watch the videos here! We plan on hosting more panels in the future as the different impacts of national security on our rights and our lives are multiple and diverse. Help us keep the public informed on issues of national security! December 10th is International Human Rights Day. Ironically it is also the day Mohamed Harkat was arrested under a security certificate 15 years ago. He has never been charged with a crime but he spent years in jail and faces deportation to Algeria where he risks detention, disappearance and torture. For many years now we’ve advocated for Moe’s rights to due process and a fair trial, we’ve denounced security certificates, and opposed his deportation to torture. In the last month, we attended court to show our support, we widely publicized the rally on the hill, and we participated in a press conference calling on the Trudeau government to stop the deportation proceedings. Canadian citizen and professor Hassan Diab was extradited to France in 2014 to be investigated for the bombing of a synagogue in Paris in 1980. Since then, a French investigative judge found overwhelming evidence that Hassan was in Lebanon at the time of the bombing. Judges have ordered his release 8 times, but each time it was blocked by the prosecution. He has now been held without charge in pre-trial detention for more than 3 years in France, away from his partner Rania and their two children. We’ve been advocating for the rights of Hassan Diab for years, opposing his extradition and calling for due process and a fair trial. In the past year, we’ve written letters to the government, spoken at a rally and at a press conference calling on Trudeau to intervene for the return of Hassan to Canada. We’ve written a letter, sent to the Peruvian authorities, to denounce the criminalization of freedom of expression and international solidarity in Peru, and to denounce the harassment and the illegal and arbitrary detention of MiningWatch Canada’s Latin America Program Coordinator Jen Moore and US journalist and filmmaker John Dougherty between April 18 to 23, 2017, as well as their subsequent prohibition from entry to Peru for an indefinite period. This year, on top of our actions on Bill C-59, we’ve advocated for changes to improve a few pieces of legislation and called for the removal of several others in order to protect our civil liberties, including Bill C-21 on the collection of exit data, C-22 on the committee of Parliamentarians on national security, and C-23 on preclearance. We’ve called and met with many MPs, sent out briefs and testified at Parliamentary Committees, provided expert opinions when requested by parliamentarians, including on the use of intelligence as evidence in civil and criminal cases, and offered support to the #NoFlyListKids group during their day of advocacy on Parliament Hill. The Universal Periodic Review (UPR) is a State-driven review of the human rights records of all UN Member States, supervised by the United Nations Human Rights Council. Canada’s UPR is coming up in May 2018. The ICLMG, in its 2nd UPR submission, has raised – and repeated some – concerns regarding: the security certificate regime, the no-fly list program, the new ministerial directives on information tied to torture, the Afghan detainees, Hassan Diab, the criminalization of dissent, the national security creep, discretionary powers and the use of secret evidence, encryption, counter-radicalization, and multiple pieces of legislation. Read our UPR submission. 9. Summer campaign: Grill your MP on National Security! We asked ICLMG supporters to ask 7 short questions on national security and human rights to their MP – in person at a summer event, like a BBQ, by phone or by email. Check them out! Find out the many ways you can help us out! We posted on our website the answers we received to our questionnaire on national security, anti-terrorism and human rights. We sent our questions to all the NDP leadership candidates but only received answers from Niki Ashton and Charlie Angus. Check out their answers, comments and grades. We continue to publish our weekly News Digest! It is Canada’s most comprehensive weekly round-up of news articles on national security and human rights issues. If you aren’t subscribed yet, or if you know anyone interested in national security and/or human rights, sign up and/or send them an invite to sign up! We’ve written many op-eds, press releases and letters, including a few against the new ministerial directives on torture-tainted information and one in support of letting Chelsea Manning enter Canada. We’ve given a lot of media interviews, put together issue pages and policy papers, spoken on panels, and given workshops, webinars and keynote speeches for our members and partners. Finally, we’ve co-organised several events such as the Enabling Civil Society: Democracy & Dissent Conference with Voices-Voix, and a talk on Guantanamo detainee, Ammar Al Baluchi, with Amnesty International Canada. If you are still not convinced, check out ALL our Achievements & Gains since 2002. Thank you so much for your generous support and have a great year 2018! This entry was posted in News from ICLMG, Take action! on 14 December 2017 by ICLMG CSILC.